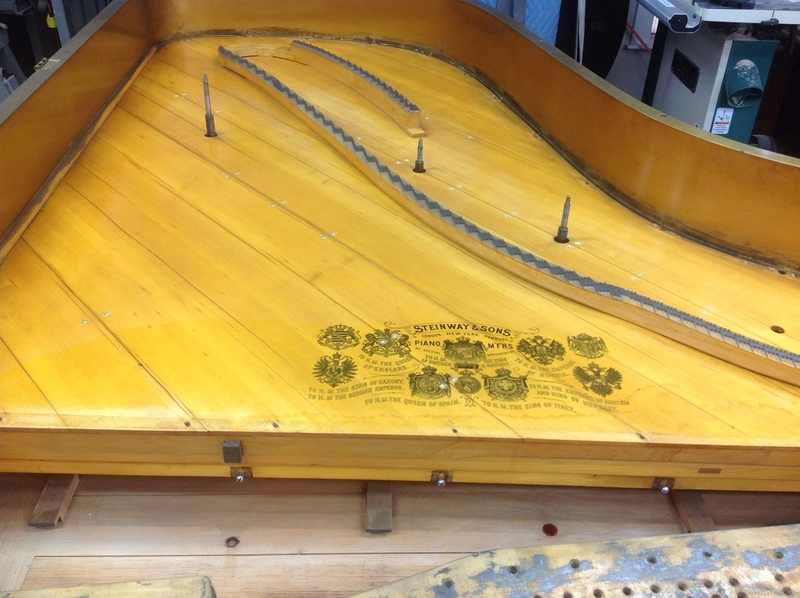 This is a Steinway Model C that was partially restored for a Museum in Washington DC. 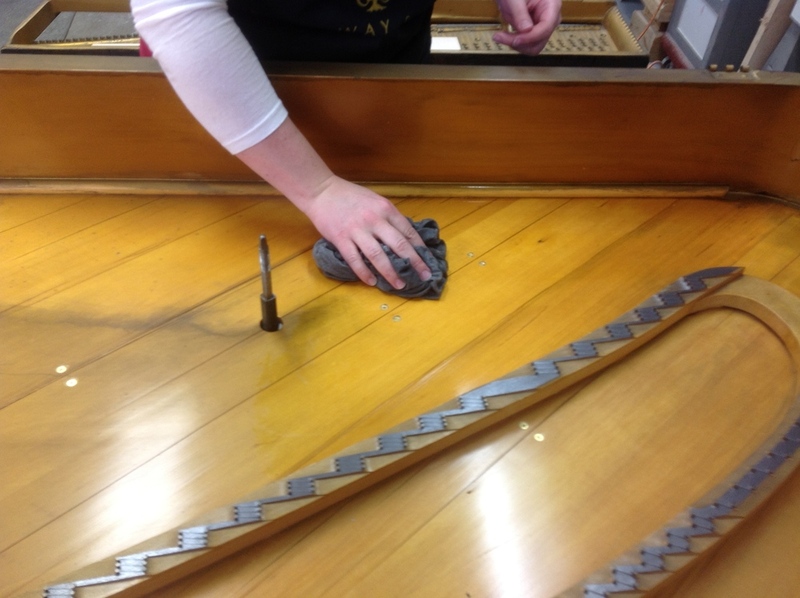 Given it's 100+ year history, the curators of the museum wanted to keep the piano in it's original condition as much as was feasibly possible. 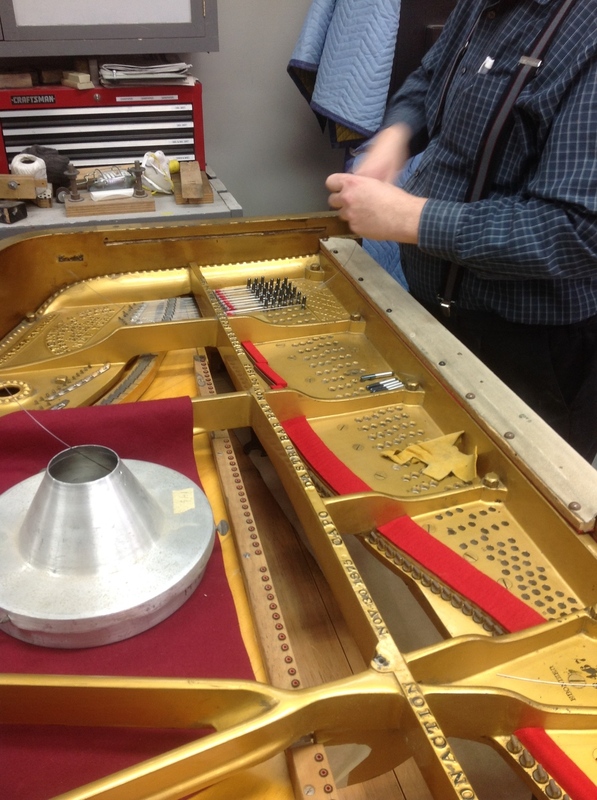 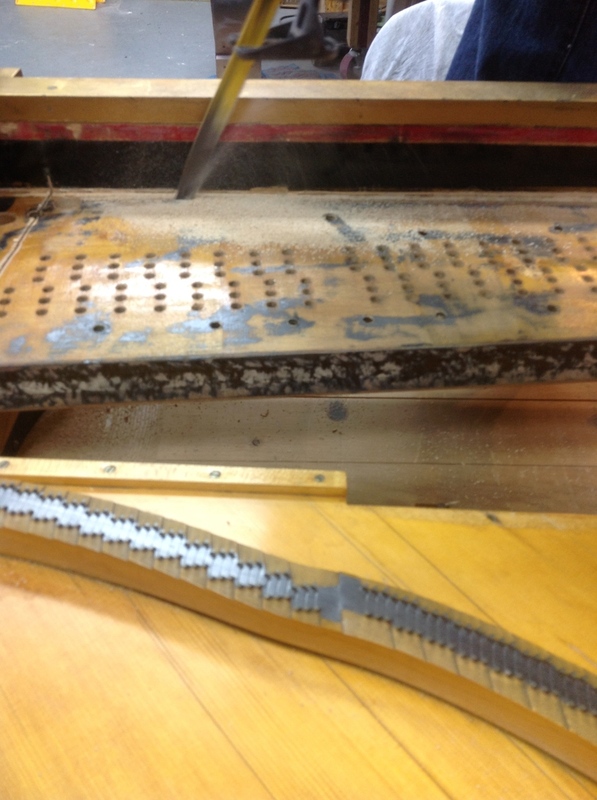 Therefore, we repaired the cracked soundboard, and simply washed it, along with the cast iron plate. 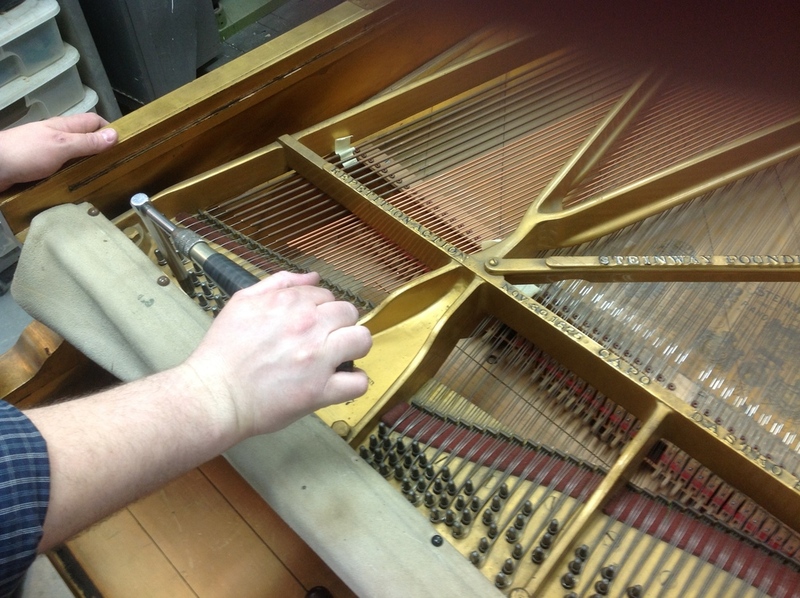 We installed a new pinblock and strings in the piano. 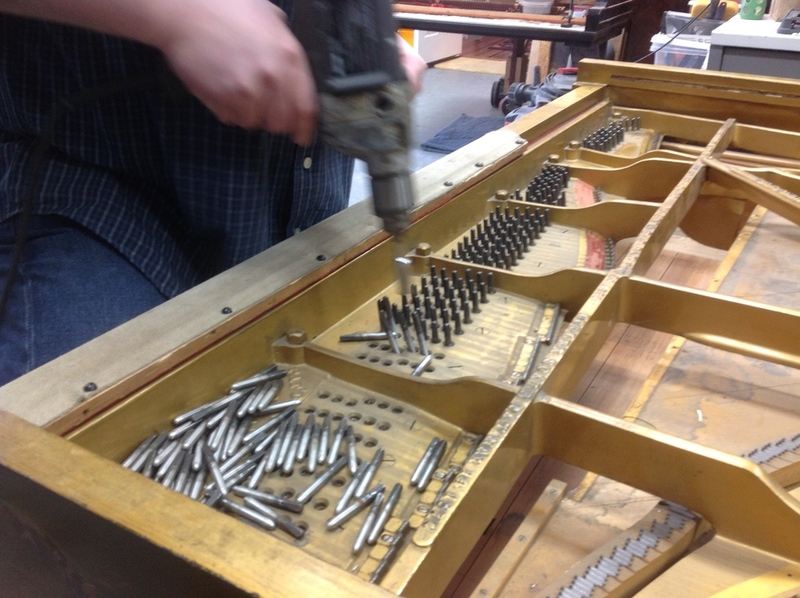 We worked with the original action and made it function as well as we possibly could given it's age.